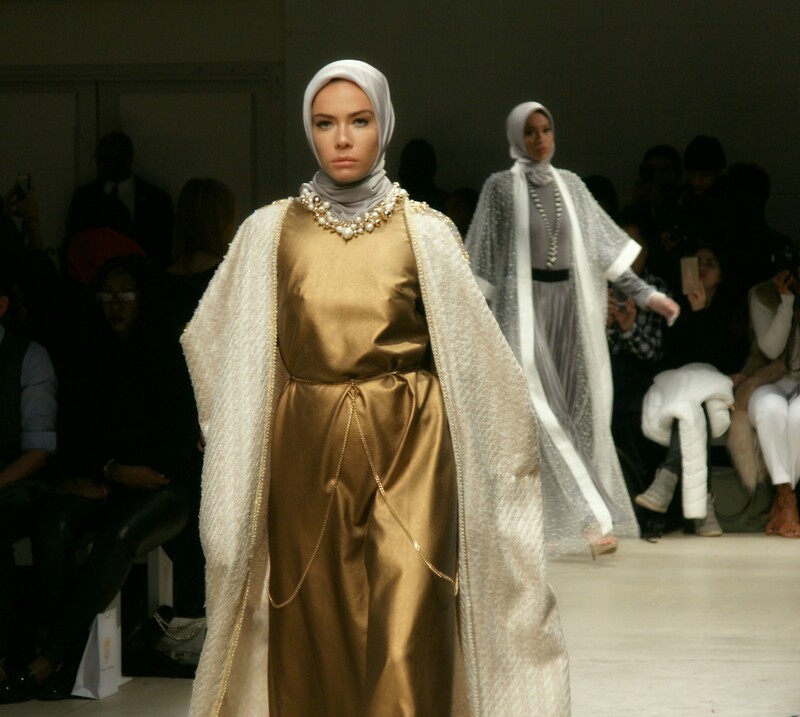 The models who walked on her runway this season came from different backgrounds and ethnicity -- mostly first and second-generation immigrants residing in the US -- proving that diversity is powerful and beautiful. 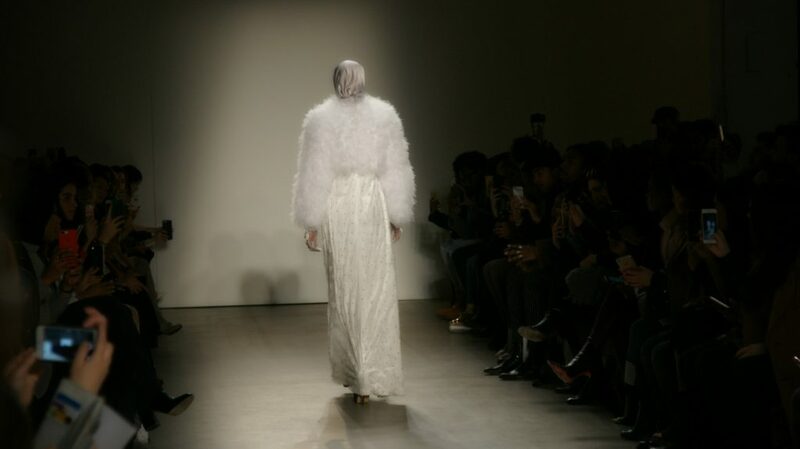 A few pieces of the DRAMA collection from the February 14th show at Skylight Clarkson Square consists of dramatic ensembles of outerwear in various hues such as gold, white, peach, and silver, as well as extravagant evening gowns from satin to sequins to ruffles. 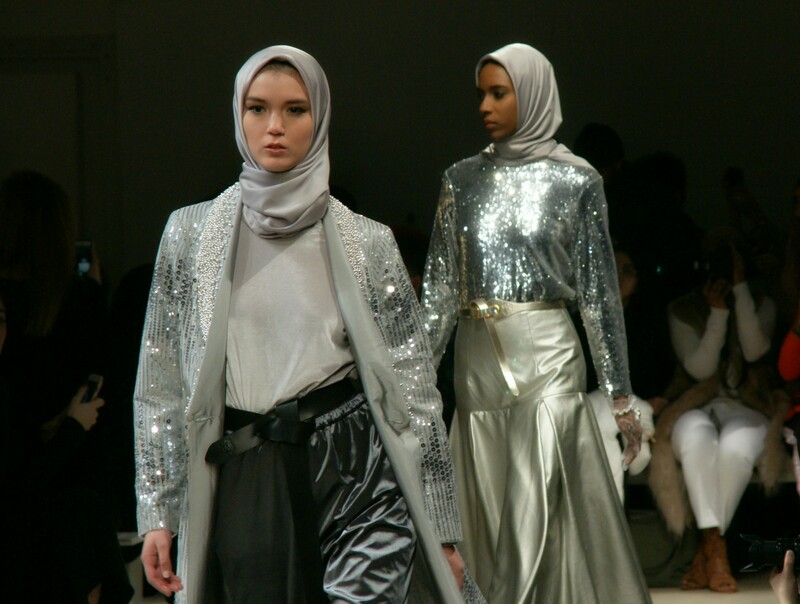 All of the models were wearing a light-grey hijab; you would think black would be the universal color that would go with all of the outfits, but the color and material of the hijab worn truly complemented each and every piece. One outfit that stood up for me the most was a long batik skirt paired with a light brown long-sleeves shirt and a leather brown belt. 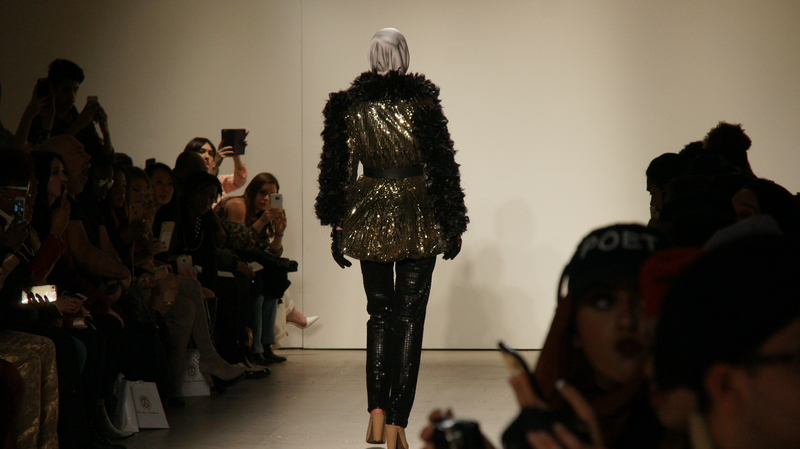 When the model walked out on this outfit, I got goosebumps. Batik is such a national treasure of Indonesia that it gave me pride and joy to have seen an Indonesian designer still incorporated it with her collections even on a major international catwalk. Though it comes in different colors and prints, batik is mostly known for its brown-goldish color; the model wore various hues of browns, but for some reason the outfit just worked without making it too matchy-matchy, and it looked very royally. I could see the batik skirt worn on a casual day, or a night out in town with girlfriends, depending upon what you pair it with or how you accessorize. If you're in New York, you can get Ms. Hasibuan's collection (and other Indonesian designers') at Indonesian Fashion Gallery, located on 108 East 31st street.